This is awesome. Imagine if all victims were so helpful. Michelle has told me that I have to write a blog post. I guess the wee link to the turboed Kombi wasn’t enough. It’s Easter Saturday and the weather has been unusually excellent. We had 2m3 of wood chip to spread over weed-matting on the garden, which I finally finished today. Why is it that we wait until we’re going away before we get the place looking good and tidy? It’s scary to think that we’ll be leaving for Switzerland in less than seven weeks. I’ll be finishing work at Vodafone, and looking for new work in Zürich. If you or anyone you know is looking for work as a web developer – I need to know. I’ve applied for a few jobs already, but haven’t heard back from anyone, as yet. Everywhere I look, Google Zürich are advertising for a role that would be perfect for me. I’ve applied but haven’t heard back. Perhaps I’ll go knock on their door when I get there. We’re trying to figure out what to to with tax and stuff – the IRD aren’t particularly clear about overseas income, etc. We may have some tenants for our house, which is great. We’ve got a bunch of furniture and stuff that we’ll need to put into storage, but if anyone wants to borrow any of it, you’re more than welcome. We’ve got a bed, some bunks, a dining suite, two sofas, a coffee table, etc. There’s no point in it sitting around gathering dust if someone could use it! Anyway, I have to go build a Lego house now; catch you later! Yay, Toby is turning into a real boy. I was worried for a bit there when he didn’t like getting dirty or touching bugs. 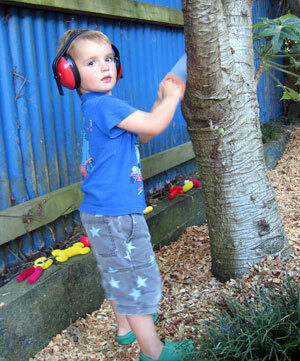 But I am pleased to say he was waist-deep in sand and mud at the beach, has a collection of praying mantis friends and has been sawing and ‘fixing’ the trees in our garden. P.S. Notice the orderly way he sets out his tools! that’s my boy! Passion… is a word that keeps coming up in my life the past couple of weeks. God must be telling me something. I just read a chapter about it in “Tender Mercy for a Mother’s Soul” (a very encouraging book for busy Mums by Angela Thomas Guffey). If people were to ask me what I am passionate about and if I were in ‘Mummy’ mode, i would say – an empty dishwasher, cloth nappies or more sleep. As a mum I find it a constant struggle to juggle my own passions and gifts with everyday life – children, husband, church, friends, work etc. So I searched for the answer. Here it is… Don’t juggle, they can all work together! Easy! The trick is not to have a list of priorities (1. God 2. husband 3. children 4. church – a list I have seen a lot) instead – have just one priority – God and his kingdom come first. Just listen to God. Phew! There it is. Now I just have to live it. It is easy to pick a passionate person (Pastor Andrew, Pastor Steve, Rosemary to name a few, and Daniel after reading a book by Mark Driscoll!) What is so different about them? Here is what Gordon Macdonald says “you know them because they are not hurried, they are not shrill, they are not out to impress. You know them because when you come into their presence, they make you think of Christ. Somehow you feel that you have understood a little more of what it was like to be in the presence of Jesus…. they have a quiet energy that pushes them along.” It is these passionate people who have taught me to listen to God, to take the kids with me when I go on a church job and can’t find babysitters, to skip my ‘to do list’ and go to the beach for the day with my bible and my kids if I need a breather. So I can relax and be content pursuing my various passions such as being a mother (making aeroplane darts, unloading the dishwasher, hanging out nappies) or cruising round Takanini with a van full of the awesome (ly noisy) Trinity girls or drooling over beautiful VW beetles going down the road or staying in random hotels just to check out the service or dragging the whole family out traveling the world for a year (perhaps the latter three I should delete off my list of passions?!). Philippians 3:12 says Not that I have obtained all this, or have already been made perfect, but I press on to take hold of that which Christ Jesus took hold of me… So, let’s turn our eyes toward heaven. Jesus took hold of us for a purpose. Let Him give wings to our passions, let us live according to holy contentment, and in all these things… press on! I wish I had taken a ‘before’ photo as well as this ‘after’ photo to show you how different and so much better it does look. 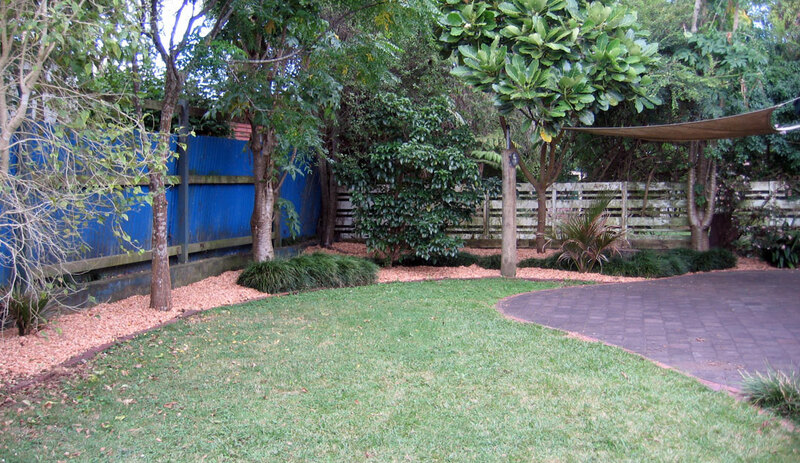 Just to give you an idea of the ‘before’ – imagine that blue fence was covered in vines and weeds were all through the garden you could see no blue and no dirt. 1962 split-window VW Kombi with a 3.6 litre twin-turbo Porsche engine producing over 420PS. Insane. Videos. So here we are after years of dreaming about it… it is actually going to happen. Although, instead of just Dan and I going to Switzerland as we had orignally dreamed, we now have two kids that we kind of have to take along with us. So exciting and scary and even slightly unsure if we are doing the ‘right’ thing. Who knows, I guess God will only show us as we go what He has in store for us! Love to all you beautiful people.